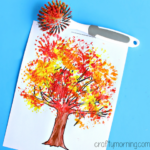 Fall is right around the corner and it’s one of my favorite seasons! 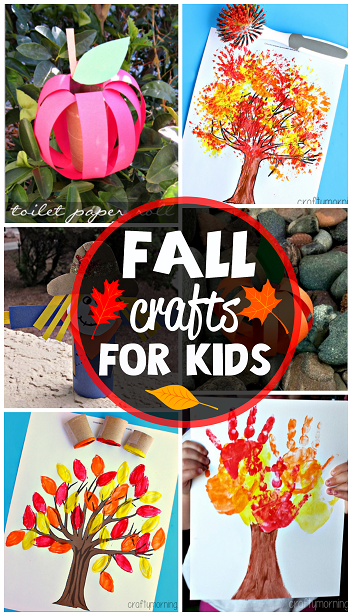 Here you will find creative fall crafts for kids to make on a budget. 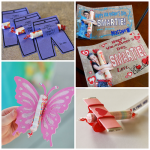 There are a lot of materials that we use that you can find in your bathroom – literally ;) Just click on the photos or linked words to get step by step directions. 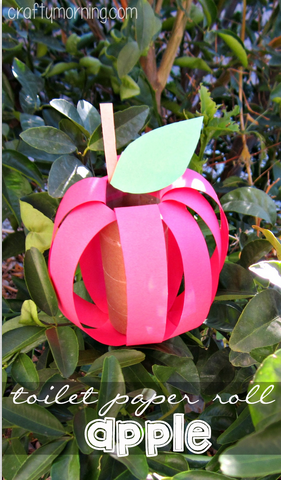 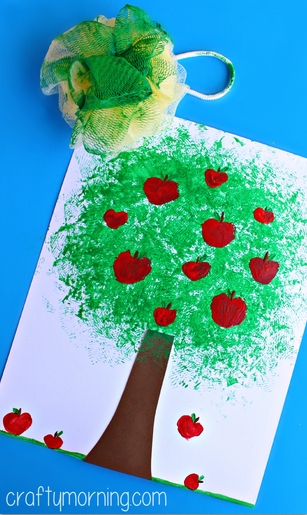 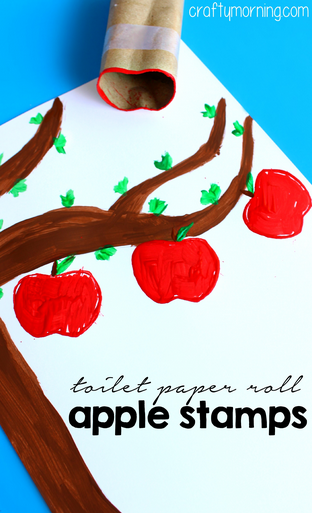 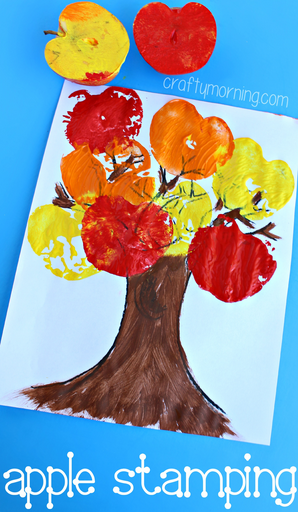 Make a toilet paper roll apple or use a dish brush to make leaves on a fall tree! 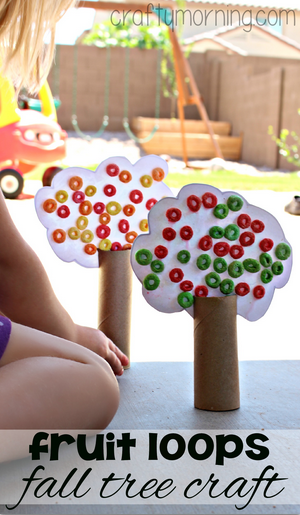 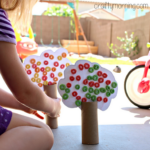 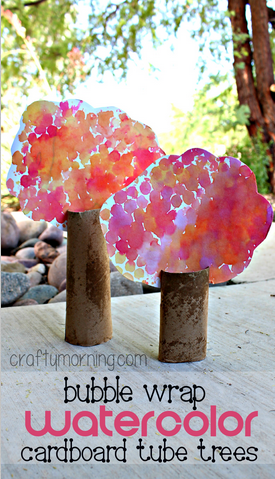 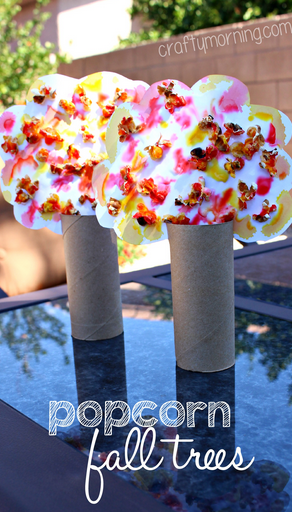 Make a toilet paper roll fall tree using fruit loops or adorable handprint acorns! 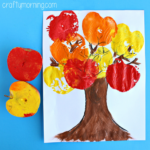 Use apples as stamps to make this cute fall tree craft or use legos as stamps to make some Indian corn! 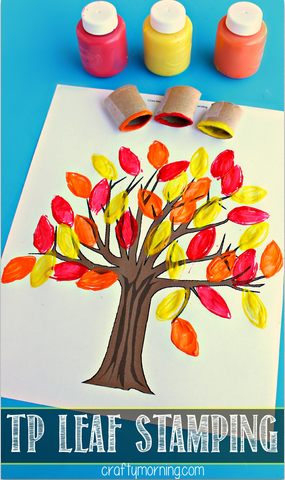 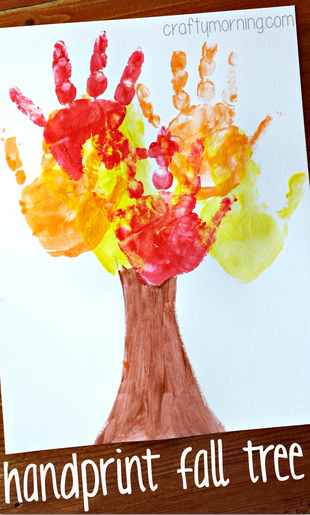 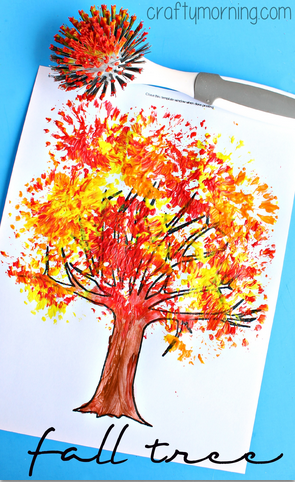 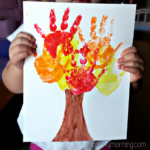 Using your kids handprints you can make a beautiful fall tree craft or use a recycled toilet paper roll to make a pumpkin. 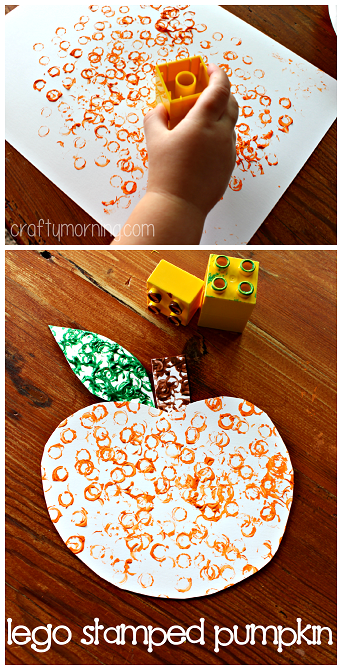 Make a little lego stamped pumpkin craft or some watercolor cardboard trees! 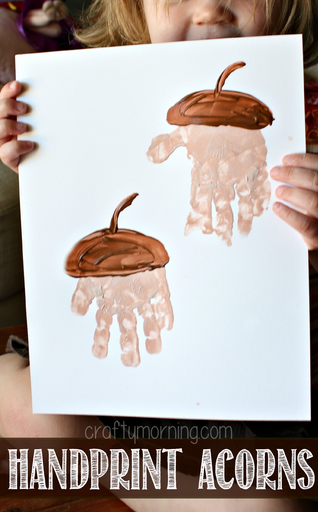 Both are perfect for toddlers! 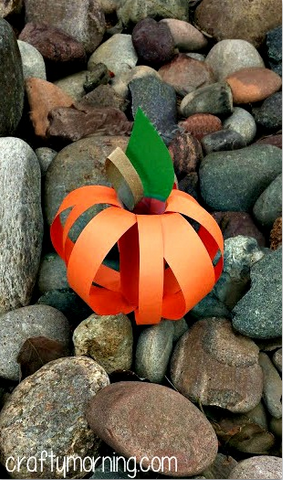 Stamp a toilet paper roll on paper to make little pumpkins or leaves on a tree. 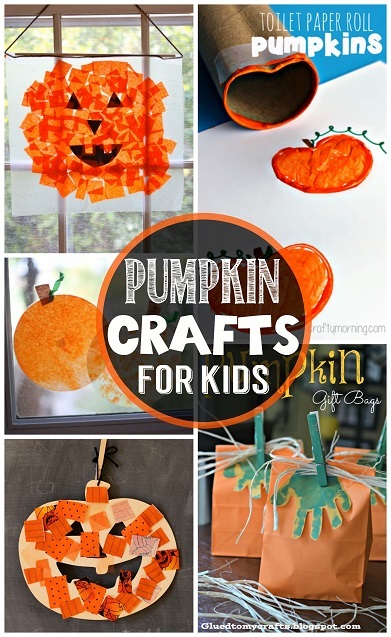 They can be used for so many things! 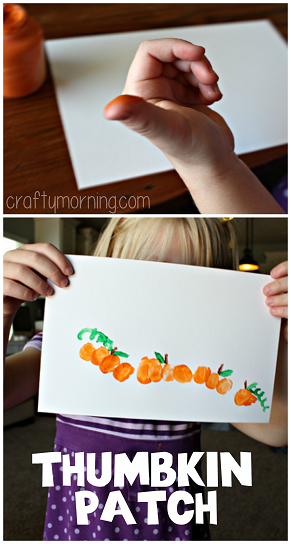 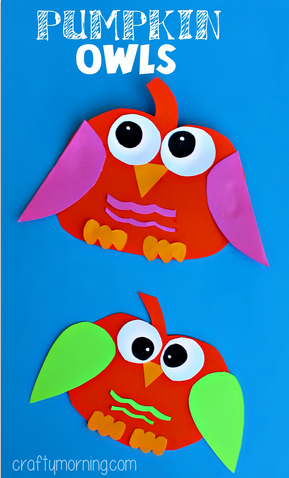 Have your kids make a cute Thumbprint Pumpkin Patch Craft or a Pumpkin Owl Craft! 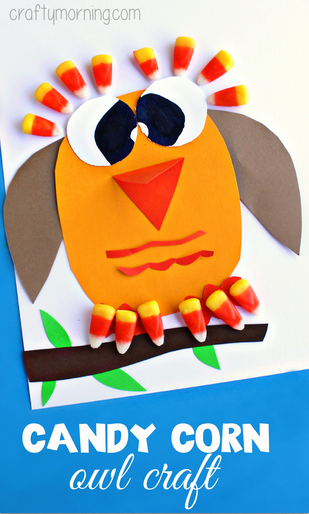 Using toilet paper rolls, make this pretty Popcorn Fall Tree Craft or use candy to make a Candy Corn Owl Craft! 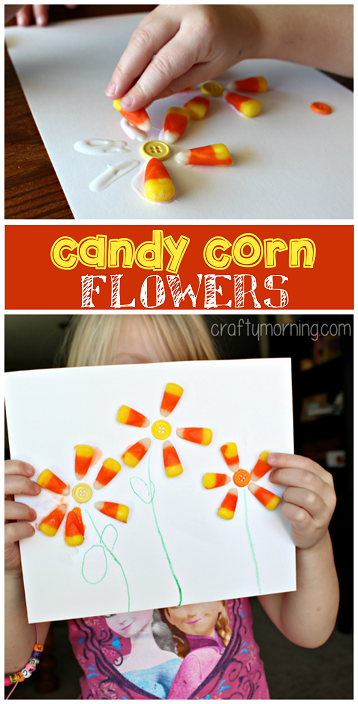 Here are some creative Candy Corn Flowers and some fun Thanksgiving Crafts for Kids to make! 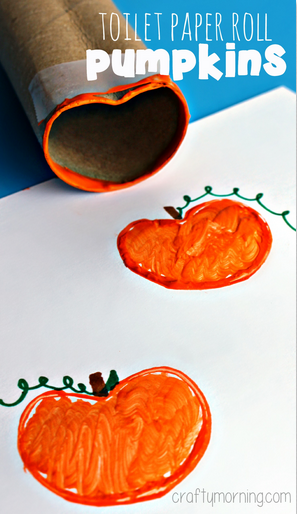 Use a pouf bath sponge to make an apple tree art project or use a water bottle cap to make little pumpkins. 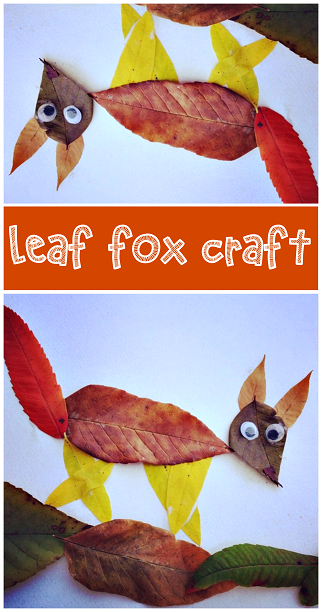 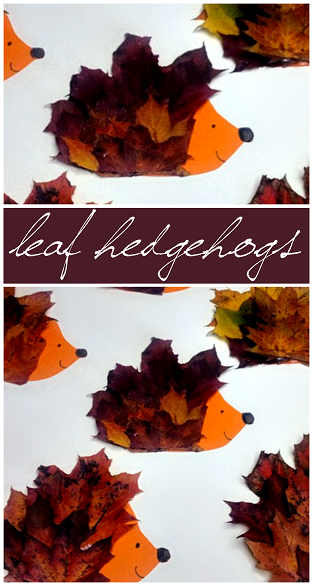 I love these leaf hedgehogs and leaf fox crafts! 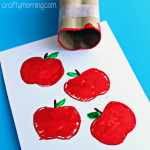 Use a toilet paper roll to make apple stamps or popsicles to make a cute scarecrow! 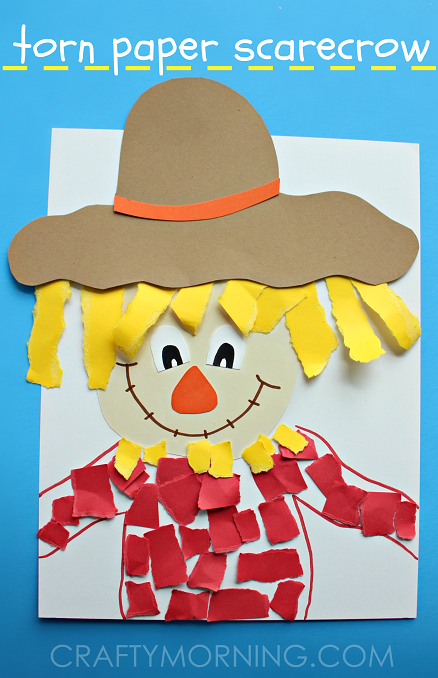 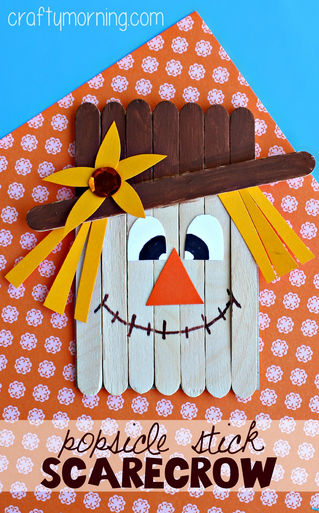 Have the kids rip pieces of paper to make an adorable scarecrow craft! 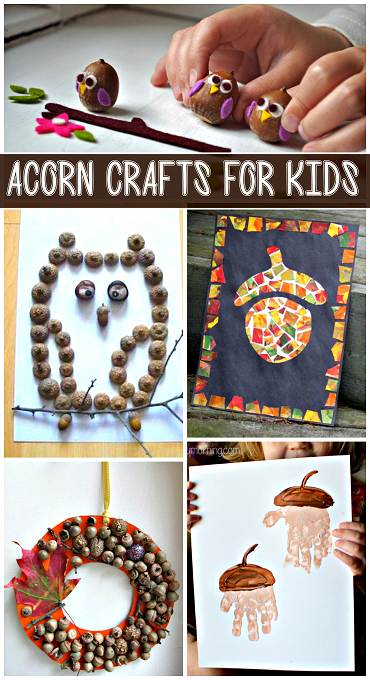 Check out all these acorn crafts or halloween crafts for kids! 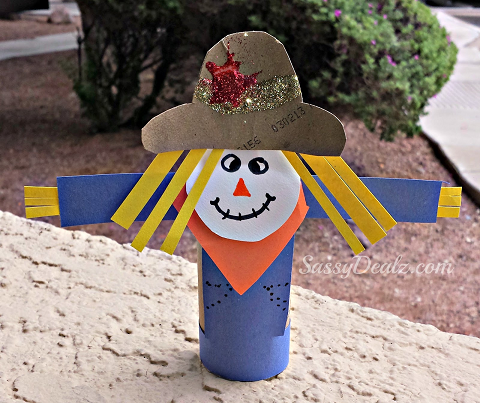 Using an empty cardboard tube you can make your very own scarecrow craft. 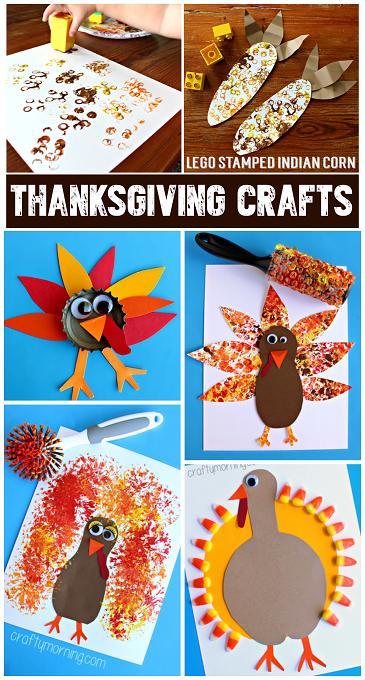 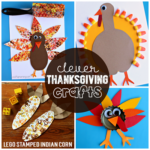 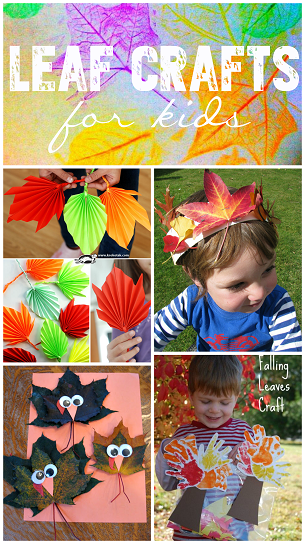 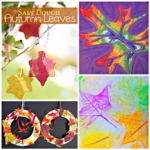 Here are some roundups of fall leaf crafts or pumpkin crafts for kids! 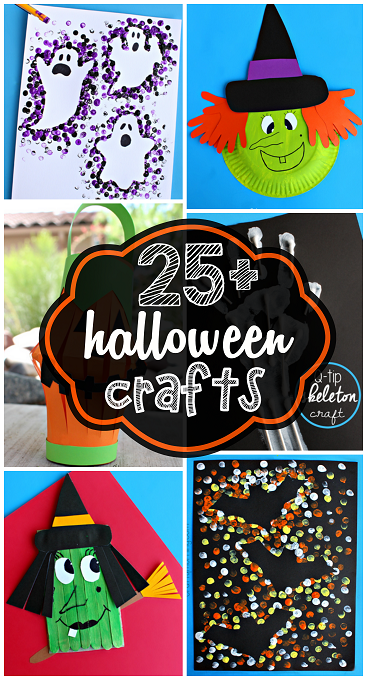 There are tons of creative ideas in there! 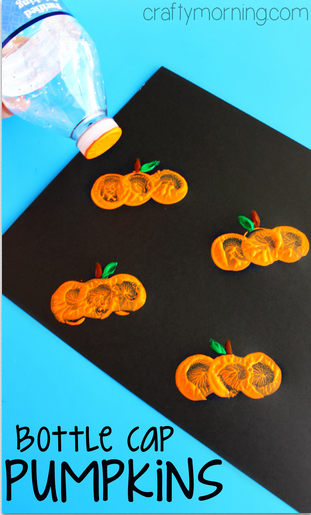 Make sure to check out all my Halloween crafts for kids, too. 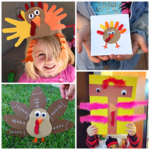 I just love some of the craft.and my children love doing them as well.